What you must know about Marketing, Demand and the Location of a Child Care Business! 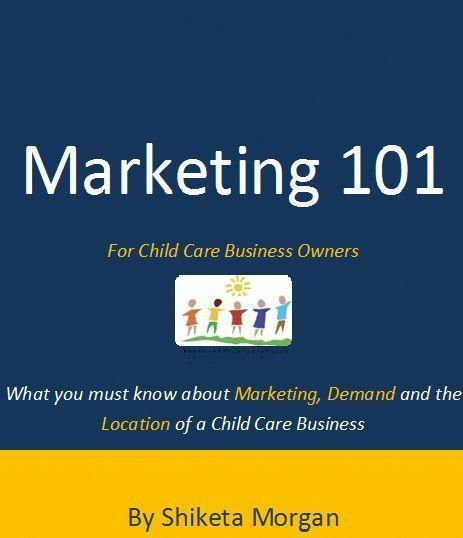 The Marketing 101 Guide For Child Care Business Owners will provide you with step by step Enrollment Building & Marketing Strategies that will empower you to effectively market your Home Daycare or a Center! It's time to increase your knowledge about Marketing, so that you can increase the profits in your Business and Build the Child Care Business of your dreams!